Creating a strong personal profile on LinkedIn takes a bit of time. Much like a traditional resume and cover letter, great care should be taken when filling out the provided sections of your LinkedIn account so you can be sure you are presenting yourself in the best and most flattering light. Your name, professional “headline”, location, industry and profile photo lead off your page. Display Name: You can choose how you’d prefer to display your name: either your full name or your first name and first initial of your last name. “Headline”: Your “headline” is your description of what you do. Location: You can choose to display your specific town (by zip code) or the major metro area nearest you. Industry: Choose what industry type fits you best from the lengthy drop-down list of career industries. Next is a list of your current and past positions, your education, a count of recommendations you’ve received (via LinkedIn connections), a count of your total connections and links to your website(s) and Twitter account(s). You can write your own title and job description for each position when editing this section. Just beneath your website and Twitter links is your Summary. This section can be most likened to a traditional cover letter. In paragraph form, write out your professional goals and experience, including a list of your specialities. The section beneath your Summary is your Experience. This section is most comparable to a traditional resume. This is also the ideal place to demonstrate how your online and social media presence meshes with your “real life” work experience since you can choose to highlight skills and projects that are especially relevant. Entries are displayed in reverse chronological order. If you’ve included education information and have asked for and received recommendations from other LinkedIn members, this information is displayed here. Note: You can approve and review all recommendations before publishing. In the Additional Information section, your website and Twitter links are again displayed, along with your interests and groups you’ve added. 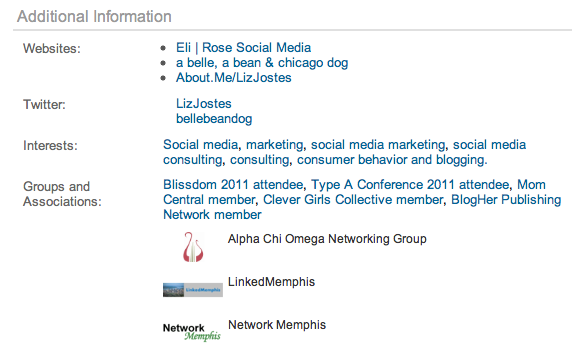 Note: “Interests” are linked and searchable within LinkedIn, and a way to locate other members who share that same interest. In this section, you can list addresses and profiles it’s best to contact you at, and select from a list of reasons for contact. When editing this section of your LinkedIn profile, you can also decide if you want to be reachable via Introductions and InMail or just InMail. 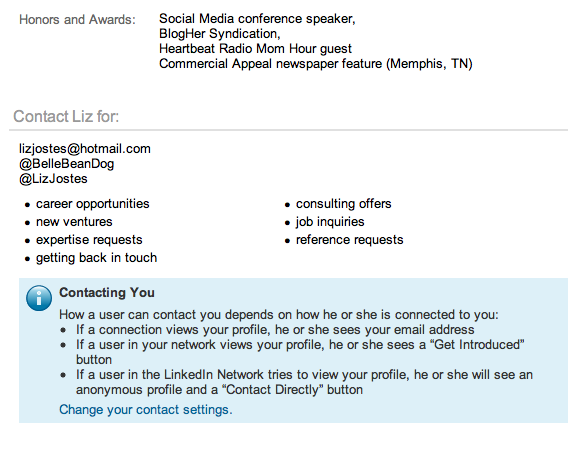 LinkedIn grants each user the ability to determine which sections of their profile are publicly viewable, including the profile photo. You can even decide whether or not to show your Connections if you’d prefer to keep a closed door on your network. 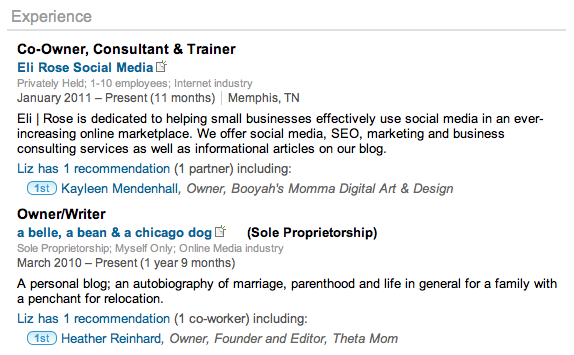 Does your LinkedIn profile show off your social media experience along with your “real life” work experience? 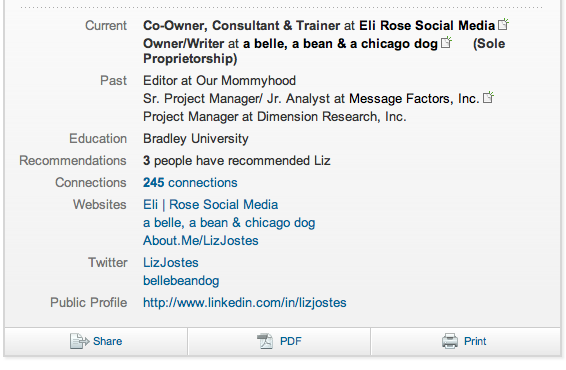 Have you made strong connections on LinkedIn? 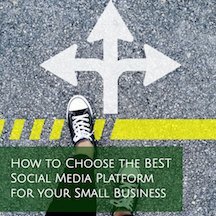 *This post is the 2nd in a series of posts on LinkedIn.